Basel, Switzerland's third most populous city, boasts the highest concentration of museums and the oldest public art collection in the world. Each year in June, the city also plays host to the largest and most influential art fair in the world. The documentary ART BASEL: A PORTRAIT offers viewers a glimpse of the city, the attendees and the art of the famous fair while tracing its 40-year history. 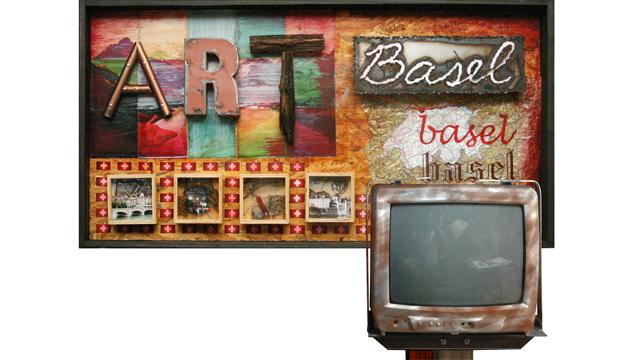 The brainchild of three Basel gallerists, the original Art Basel event launched in 1970, attracting 90 galleries from 10 countries to the small, picturesque Swiss city. Art Basel is now a six-day celebration, luring more than 70,000 visitors to the city. Its monumental growth reflects the public's increasing interest in modern art, according to some New York City gallerists who have traveled to the Swiss fair for years. Interviews with Art Basel director Marc Spiegler, former director Sam Keller and Peter Bläuer, director of LISTE, the Young Art Fair in Basel, offer insight into the culture of the city and the fair's role in the fast-changing world of modern art.